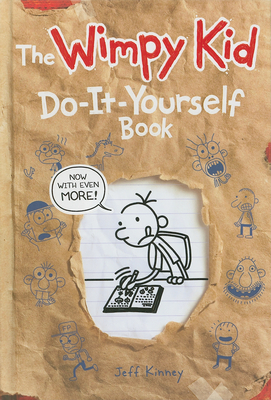 With The Wimpy Kid Do-It-Yourself Book, you're the author, illustrator, and main character. Filled with loads of interactive pages and plenty of space to write your own life's story, this book is all you need to create your masterpiece. Whatever you do, make sure you put it someplace safe after you finish. Because when you're rich and famous, this thing is going to be worth a fortune.